The Basement Boys finally breakdown Daredevil Season 3 in a spoiler review! Red is noticeably excited. Grant Morrison is back writing DC superheroes, only instead of throwing his hat into the ring, he'll be throwing his finger - into a Green Lantern ring, in a series starring GL favorite Hal Jordan. Zombies litter the road to salvation in Road of the Dead: Highway to Hell, and ancient gods propel spaceships into The Outer Dark. 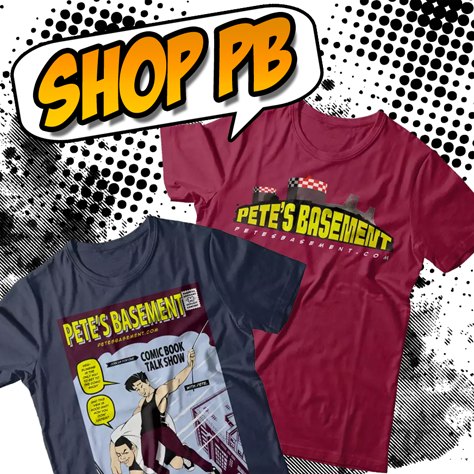 It's a double-sized episode of Pete's Basement jam-packed with guest stars! Michael Valentine, creator and director of the documentary Comix: Beyond The Comic Book Pages joins us all the way from California in the first ever live interview! Comix features interviews with Stan Lee, Neal Adams, Frank Miller, and many more! Captain Zorikh joins the roundtable to tell us all why this year's Big Apple Comic Con CAN NOT be missed! Comic and entertainment guests abound, so make sure you get your tickets early! THEN! 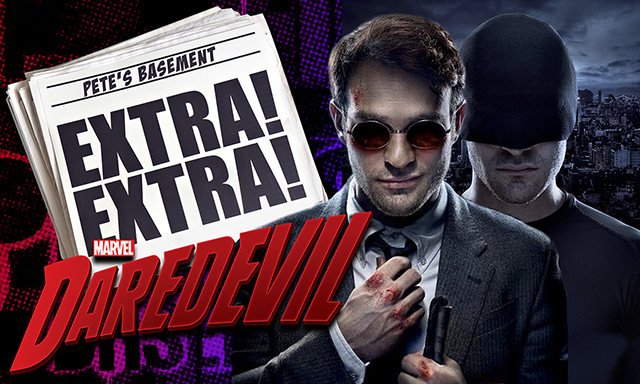 Daredevil Season 2 Review from Pete's Basement Extras! Daredevil Season 2 Trailer pt.1 Drops! First Look at Punisher and Elektra! "You know your one bad day away from being me?" Ohh man, this is gonna' be good!! EXTRA! Daredevil Netflix Review from Pete's Basement! Both Pete and Ramon have finished watching Daredevil and can't wait to talk about all the intricate, potentially far-reaching plotlines, easter eggs, and just generally how awesome this show was! WARNING - Video contains some minor spoilers. But seriously, you should've watched it already! Sony and Marvel Studios Spider-Man Deal in the Works!